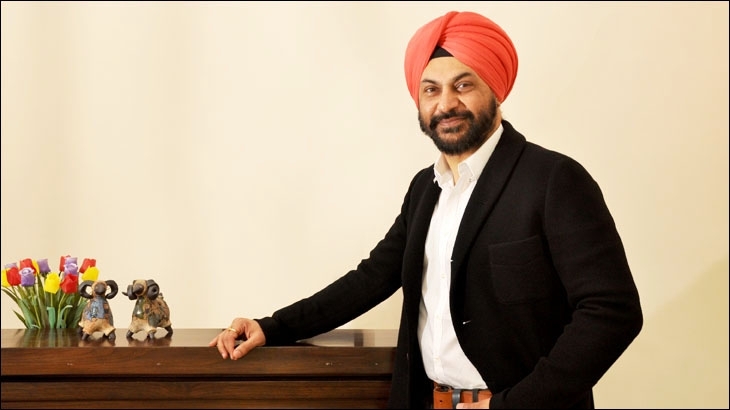 Chopra, who is vice-president, global strategy, Lenskart, talks about the brand's recent campaign, the need to educate customers on eye-care and tech-enabled innovations in the category. Humans are bound to make mistakes, but robots aren't, and hence at the online eye-wear portal Lenskart.com that manufactures lenses using German MEI machines, there is no chance for 'Galti se mistake ho gaya', claims the new 'quality advert' rolled out by the brand. 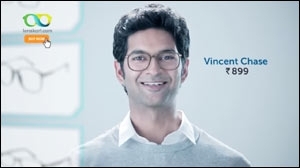 Further, the ad states that the technology used by Lenskart is far superior and error-free as compared to that used by offline players, thereby encouraging viewers to buy eye-wear online. This assertion on the part of the brand is further ratified by a quirky voice-over that goes, "har mehengi chashme ki dukaan ke peeche, galti se mistake ho gaya'. The TVC, conceptualised by Enormous is targeted at the top metros and is on air across Hindi and English GECs, music and news channels. Giving us a perspective on how the 'quality advert' fits in the larger scheme of things for the company, Aparna Chopra, vice-president, global strategy, Lenskart, says, "At Lenskart, our aim is to revolutionise the eye-wear category. This encompasses range (3,000 styles in over 100 colours), quality (robotic technology), affordability (low price points), and access (curation) that we offer our customers." Chopra further elaborates, "However, as market leaders, it is also our responsibility to educate them about what quality means when it comes to eye-wear, and this is what the ad does. It's like when you want 22 Carat gold, precision is what matters, and that is what you should look for while getting lenses made." Lenskart's research shows that while Indians are concerned about their eyes, awareness about the category is low. People place their trust in opticians and share with them a relationship similar to that of a doctor-patient one. Therefore, it becomes important for them to know what the measures of quality are. Founded in 2010 by Peyush Bansal, Lenskart.com has over 100 stores across more than 66 cities (including Tier I, II and III) in India. The company operates on a hybrid 'Click and Mortar' model while catering to a wide range of audience, both offline and online. The online business caters to the young (18-34 years), upwardly mobile and tech-savvy customers who are used to buying online. "They prefer being informed about the technology behind each and every product they use, which is why towards the end, the 'quality advert' also prompts the viewer to download the app to see robots making their lenses," shares Chopra. This set of customers also tends to be fashion-conscious. Its concerns are addressed by the '3D Try On' feature on Lenskart's website. It allows customers to virtually try out the frames and share it with their friends to get a second-opinion. The brand's offline customers are from a slightly older age-group that is discerning and quality conscious. They typically have a lot of queries and need a number of trials before making the final purchase. In addition to the above, the company reaches out to an array of consumers though its services such as Free Home Eye check-up, Free Home Trial and First Frame Free. They, informs Chopra, are people who need to get over their apprehensions of buying a frame online. Chopra informs that Lenskart is currently at a stage where it has varied objectives to achieve from its marketing initiatives. These include creating awareness and educating the customers to help drive category growth, brand building and sales promotion. "While we need to give customers reasons to buy our products, we must also tell them who we are and what we stand for," she states. The job of advertising, especially advertising on television for Lenskart, is to educate the customers and break the barriers that exist while shopping for eye-wear online. Clearly, the 'quality advert' focusses on education, but various other campaigns such as the '100 per cent accurate lenses' and those around 'Free home trails' and 'Easy returns' fall in the second category. "Offers at Lenskart are not driven by discounts or price. Our signature offer 'First Frame Free' is a trial-generating offer that helps people overcome the inhibition and fear of buying a frame online for the first time," says Chopra. Although the brand employs different mediums to reach its audience, it categorises media only as online and offline. Delivery and packaging cues also form a part of its media mix. However, talking about the recent trends in digital/online marketing, Chopra says, "In the last couple of months, we witnessed a huge shift in traffic from desktop to mobile, which included both the WAPsite, as well as the app. I would say that half our business has moved to mobile. There was a time when we could launch a campaign on desktop alone, but today, it is important to have mobile specific campaigns." Lenskart also executes various digital only campaigns aimed at generating conversations and engaging the TG. For instance, there were campaigns such as #AankheinCheckKaralo campaign launched on World Sight Day (October 8), and the #Lensfie campaign that sought to make wearing glasses cool. Recently, it also concluded a Bloggers event on the 'fashion of eye-wear'. In April this year, Lenskart launched an on-ground campaign 'Eye for and eye', as part of which, 2 lakh transgenders pledged to donate their eyes to celebrate the anniversary of the Supreme Court's judgment that recognised them as the 'third gender' last year. With a host of free services (Free home eye check-up and free home trial), both online and offline presence and offers such as First Frame Free, one wonders how does Lenskart ensure sustainability. However, Chopra claims that there is no concept of 'cash-burn' in the company, and it is steadily moving towards building a scalable model. At the offline level, Lenskart's strategy is to stock up a representative sample instead of the entire range in its stores. Once at the store, customers are facilitated through the website so as to offer them more choice. This reduces the rents and cost of maintenance. According to Chopra, while the Free Home Eye Check-up involves the cost of hiring and training a person, the conversion rate on this model is as high as 70 per cent and it generates over 500 leads every day. Moreover, the service works on an entrepreneur model wherein the optometrists are incentivised to get more references. Through the free home trails, Lenskart reaches more than 200 towns. "In India you can bring about a revolution only by reaching out to the maximum number of people. These services get us a lot of word-of-mouth publicity," asserts Chopra. Furthermore, Lenskart cuts out on the middlemen in the optical industry by manufacturing the lenses themselves and selling it directly to customers. Tech-enabled processes further help in bringing down the cost of labour. 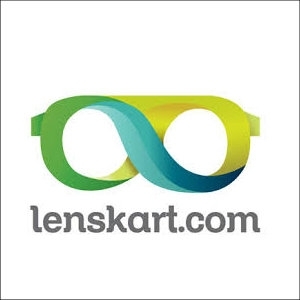 Lenskart.com has until now, been funded by three venture capitalists, namely, IDG Ventures ($4 million in October 2011), the Ronnie Screwvala-led Unilazer Ventures ($10 million in February 2013), and TPG Growth and TR Capital ($22 million in January 2015).